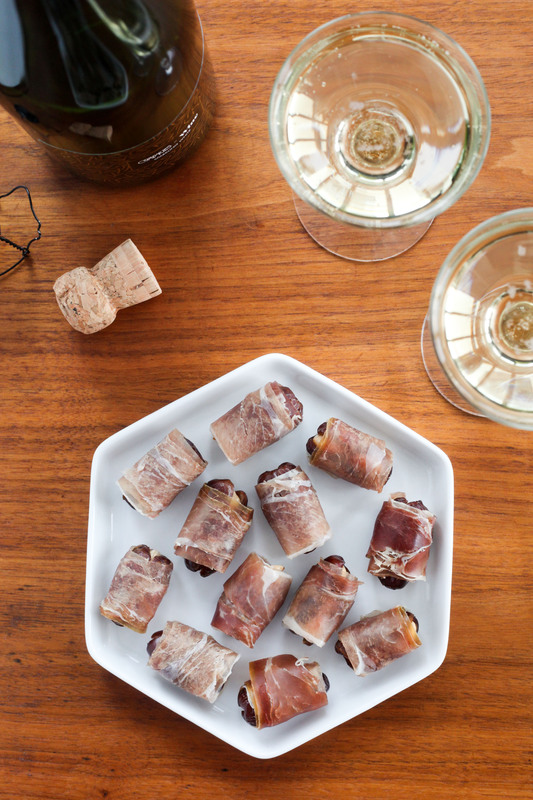 A paleo-friendly take on one of my favorite three-ingredient appetizers, these bite-sized packages are salty, sweet, and savory, and are an ideal pairing for a glass of sparkling wine or oloroso sherry. I like to prep a handful of them and keep them in the fridge for snacking, but they’re absolutely cocktail-party-worthy, and really so easy to make. It’s more of a matter of shopping and assembling than cooking; something that is very much OK in my book, especially as a part of meal snack-prep or party planning. Cut a slit in the dates, and remove their pits. Fill each with 2 almonds, packing them in tight. 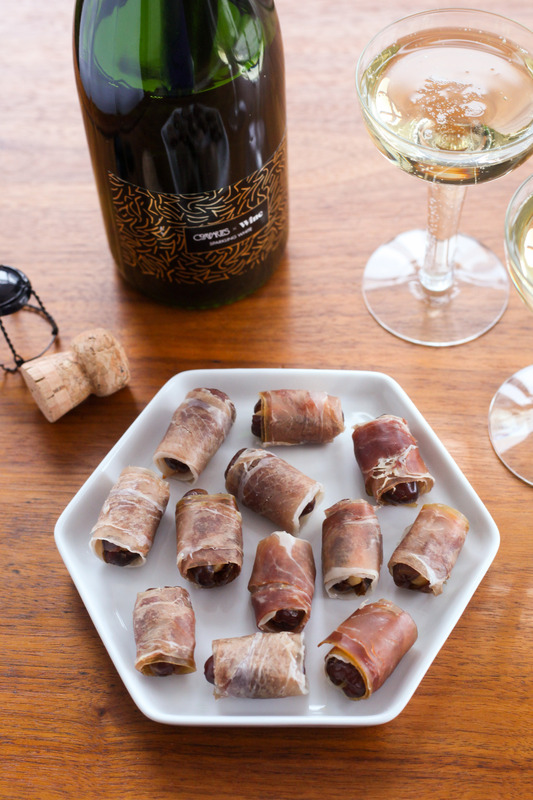 Wrap each date with a half slice of prosciutto. For the neatest-looking results, trim the pieces of prosciutto to the length of the dates (or slightly smaller). The trim makes for a lovely cook's snack. Yum! 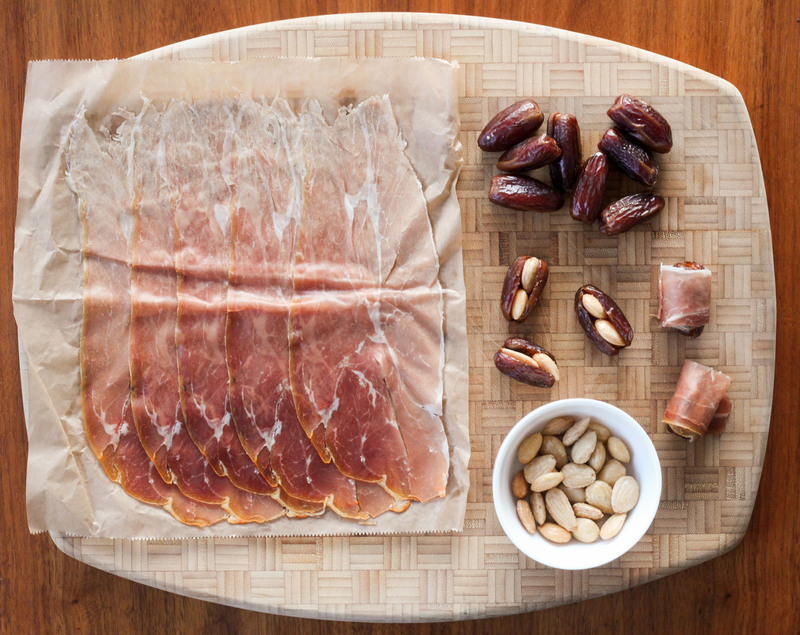 I love prosciutto-wrapped dates, and Marcona almonds are definitely the way to go. Thanks, Pamela! They’ve long been one of my go-to party nibbles/snacks :).